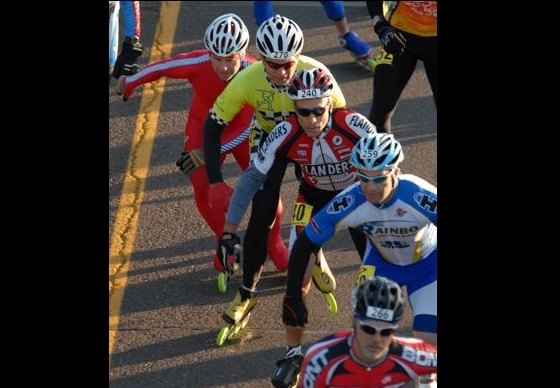 Vet Start - Bont's Randy Plett leads a group of pro veterans (45 and up) at the start of the Northshore Inline Marathon. Behind him are Rainbo's Greg Major and Flanders' Fred Sheer. Bringing up the rear is a skater with plenty of cold-weather experience. 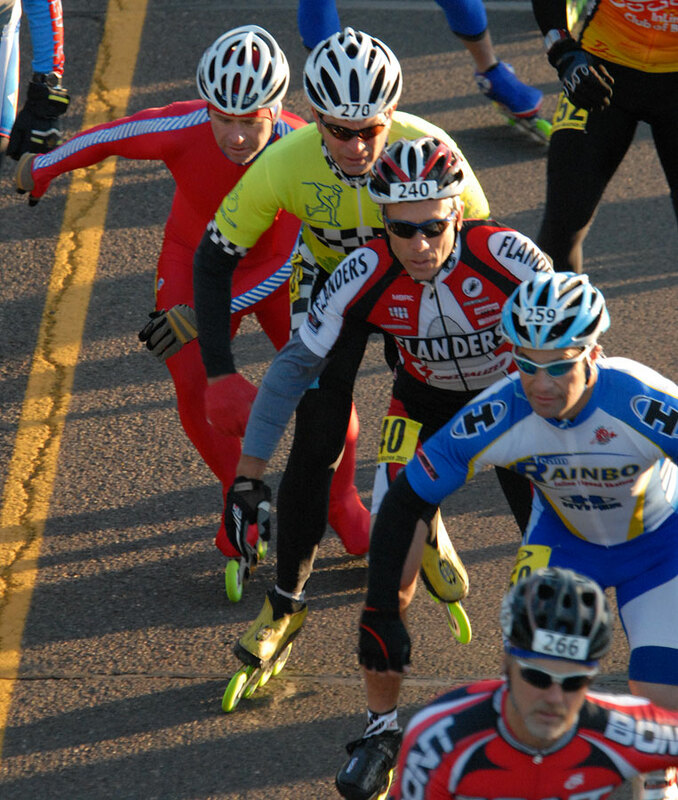 Andy Zak (in red skinsuit) was a member of the U.S. national ice speed skating team back in the days when they trained outdoors.